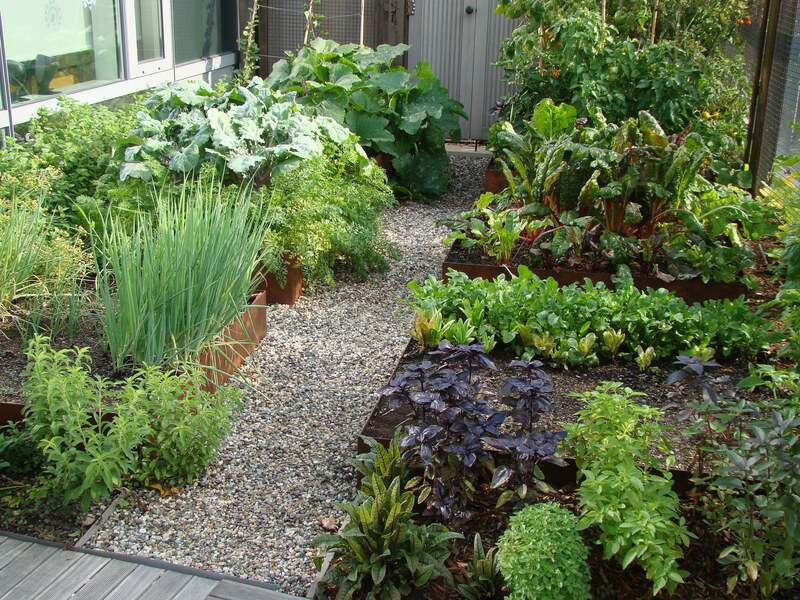 Plants on rooftop gardens are far more exposed to the elements than their ground-level cousins. With Hurricane Irene heading directly for lower Manhattan, it was alarming to hear the experts explain that 75 mph winds at ground level translated to 100 mph winds toward the top of tall buildings. 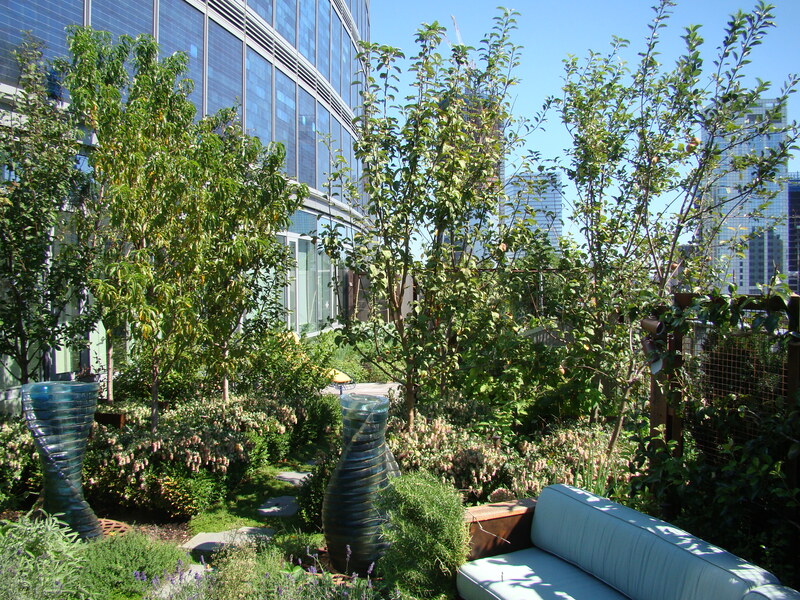 So it was with some considerable trepidation that I secured the Battery Rooftop Garden last Friday. 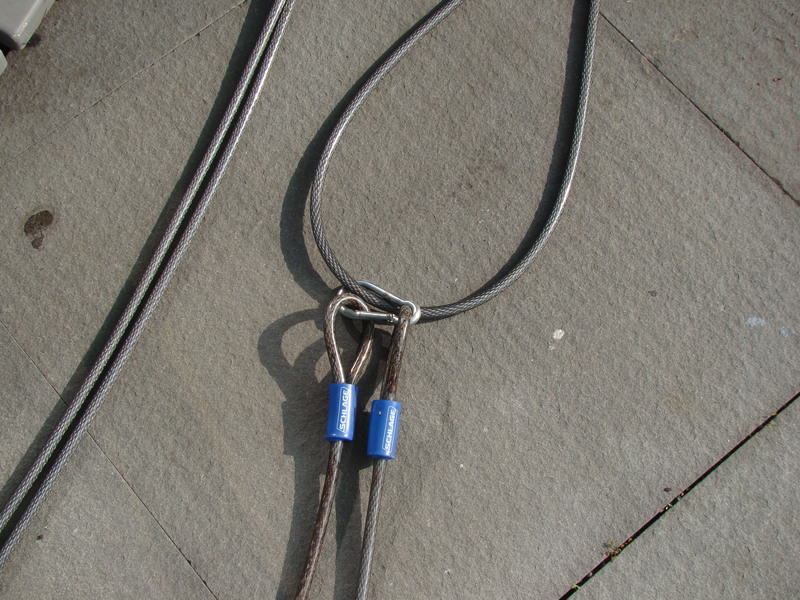 I moved any movable object inside, and secured the few movable things remaining on the roof with strong cables. I harvested all remaining nectarines, peaches and tomatoes, which I imagined would otherwise fly north and rain down upon bemused pedestrians in Soho. I recorded for posterity the state of the vegetable garden, and retreated up-state. I am grateful to the many expressions of concern received from friends and readers. And the result? Well, judge for yourself. Here is how things look après le déluge. 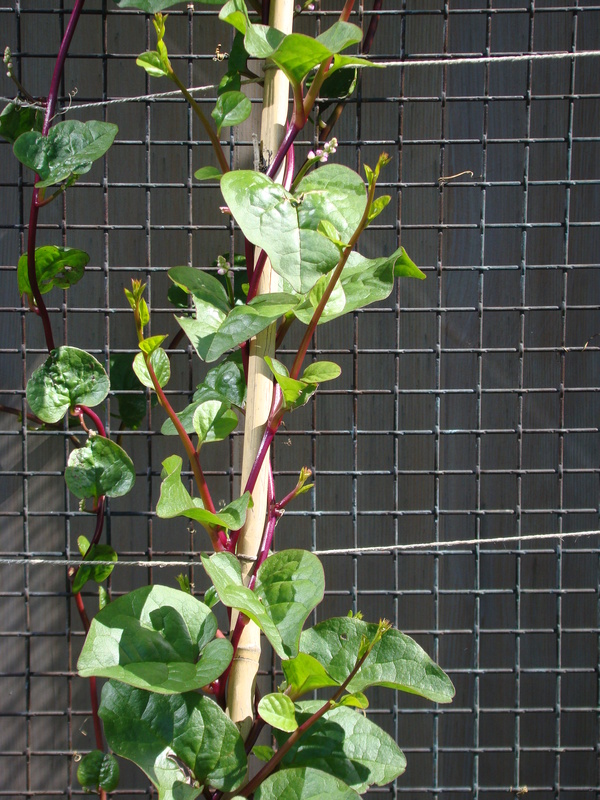 The Malabar spinach was looking extra glossy, perhaps reminded by the storm of its happier days growing in the tropics. 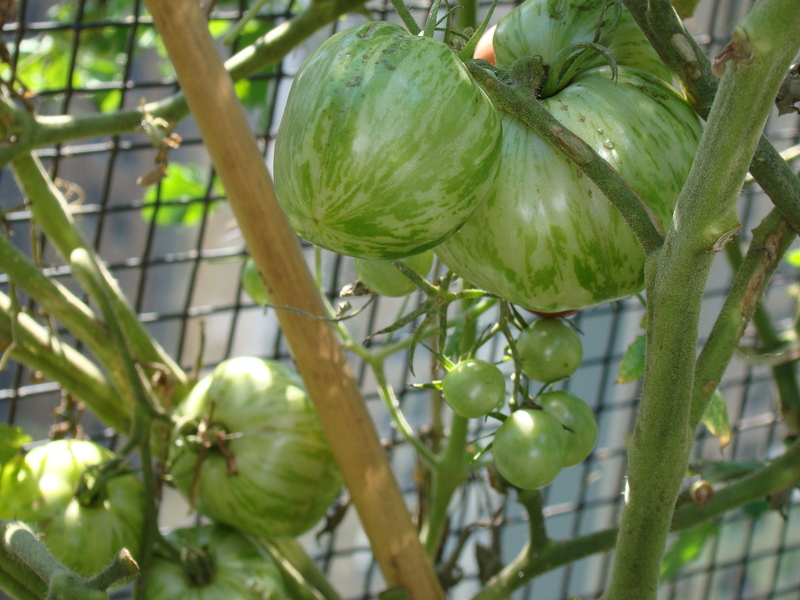 The ‘Green Zebra’ tomatoes hung on tight and were unblemished. 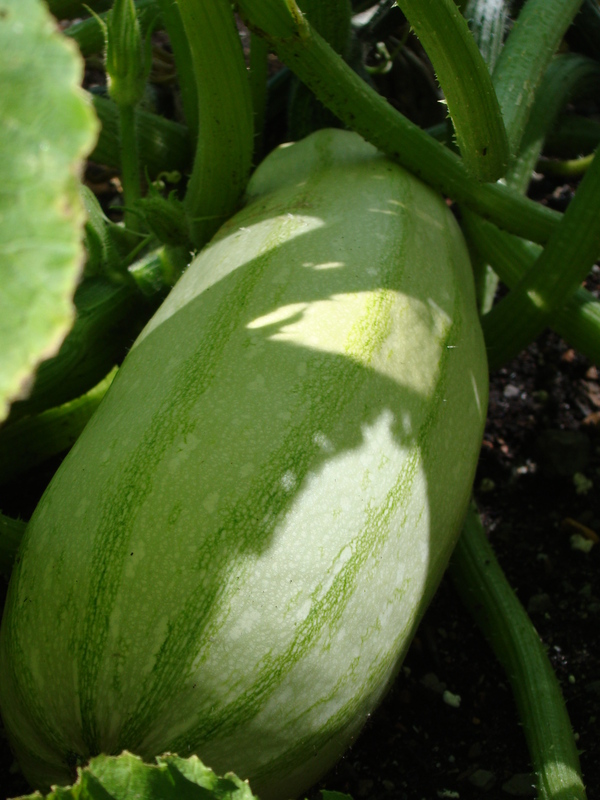 The summer squash remained recumbent, ready to harvest. 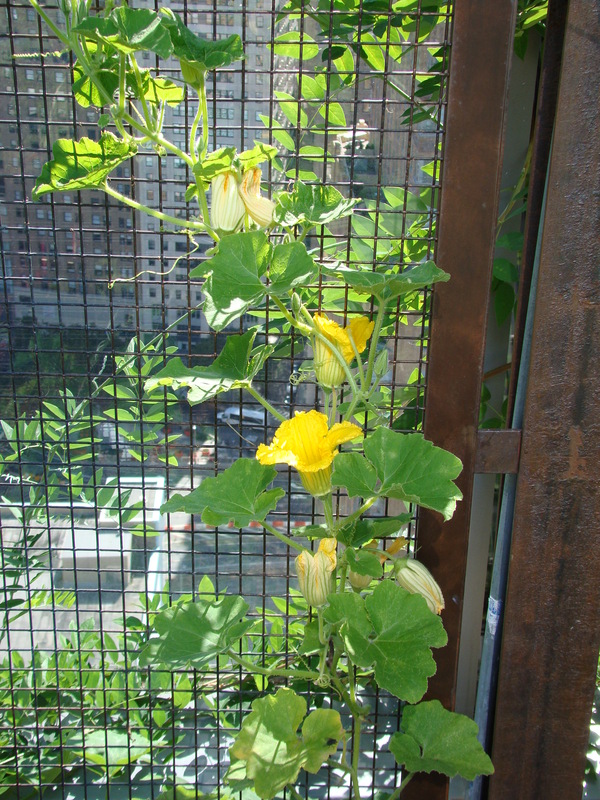 The hardier winter squash was completely unperturbed, taking advantage of the extra water to put on a spurt of growth up the vertical screen. Late raspberries, alas, were looking rather ragged, but hung on, and the few remaining dark ripe fruits were dazzlingly moist and sweet. 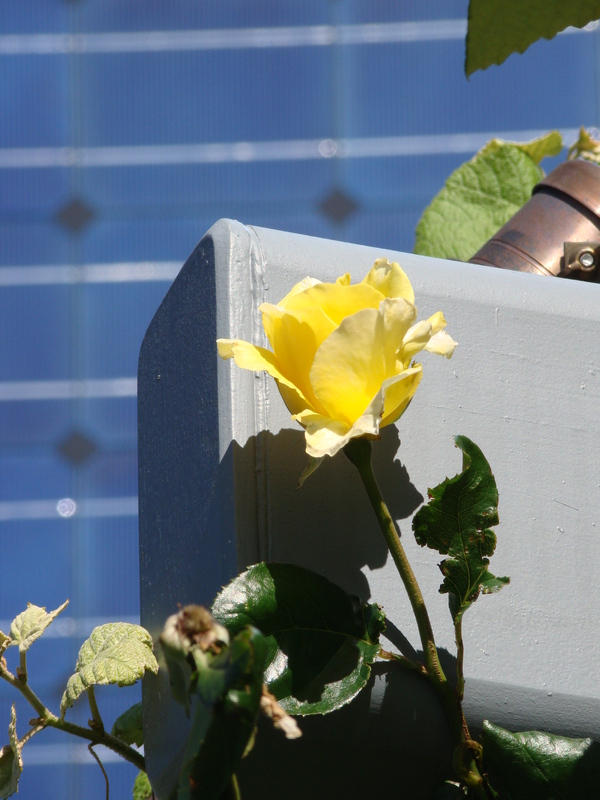 are well adapted for the strong winds and rooftop exposure. And I celebrated this morning with the best breakfast salad yet: Malabar spinach, spicy Arugula, ‘Green Zebra’ tomatoes and a perfectly ripe and sweet yellow pepper. This entry was posted in Design, Failures, Malabar Spinach, Nectarines, Peaches, Photos, Roses, Structure, The Visionaire, Tomatoes, Weather. Bookmark the permalink. a testament to great choices and planning! Ahh, if only people could be as resilient as plants! I do love the look of the green zebra tomatoes – delighted that they and fellow rooftop plants proved so hardy.